My first robot, MARV-1, uses a small, commercial tracked chassis. It uses dead reckoning from wheel encoders (only) for navigation, and a single front-mounted ultrasonic sensor for obstacle avoidance. While I could get fancier on sensors and tweak the control more (e.g., add proportional feedback between the wheel encoders and the motor PWM control to keep on course better), I figure I’m nearing the end of the development and testing I want to do on this first robot. For MARV-2, my second robot, I want to build a new vehicle with GPS and other sensor systems suitable for outdoor navigation, and I want something that covers ground more quickly. I figure an R/C conversion will fit the bill. I’ve started looking into this, and it seems that it’s not too difficult. It also seems that it’s easier on a “hobby” class R/C vehicle than a cheap toy one. Many hobby class cars, it seems (from my online research) utilize standard 3-wire servo connections, sometimes with an electronic controller between the R/C unit and the drive and steering controls. Cheaper toy cars have a circuit board you need to cut wires from and solder new connections on. 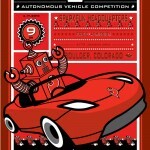 Sparkfun Electronics runs an annual Autonomous Vehicle Competition, and several competitors from past years have blogs with useful information for developing autonomous vehicles from R/C cars. 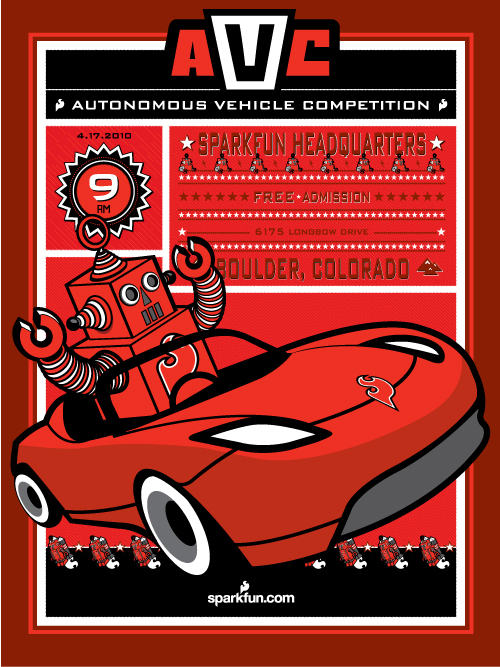 Three blog postings that seem to provide a lot of good information are Overdue AVC Specifications, Team Zyzzyx” SparkFun AVC 2011 Ground Entry, and Data Bus: the Nickel Tour. The video podcast The Latest in Hobby Robotics has several videos on modifying R/C cars. The two I’ve found that are most relevant are The Latest in Hobby Robotics 17, which focuses on modifying higher end cars and The Latest in Hobby Robotics 18, which demonstrates modding a cheaper toy-style R/C car. An additional link that’s worth pointing out, especially if you’re modifying a toy R/C car, is Autonomous R/C Car – Part 1 – Reverse Engineering Signals. I suspect it will be a while before I wrap up work on MARV-1 and have the time to start MARV-2, but the information these other hobbyists provide a lot of good guidance for getting started.